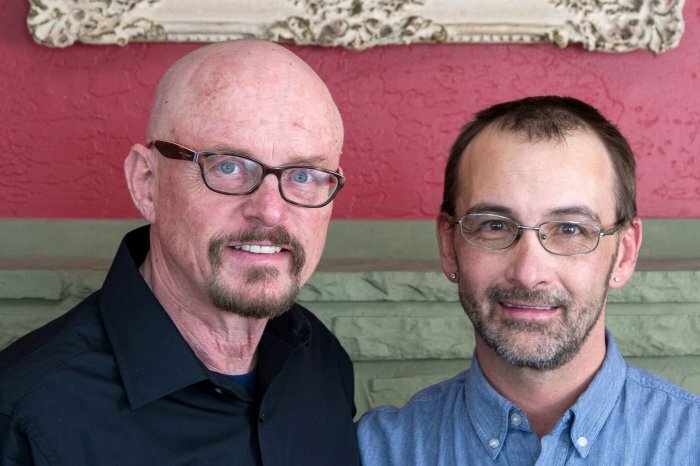 Gordon Watkins (left), a career veteran of the Hospitality Industry purchased The Inn at 410 B&B in September 2003 in fulfillment of his lifelong dream of owning his own inn. Gordon graduated from Cornell’s School of Hotel Administration and UCLA's Anderson School of Busines and has worked in operations and development for major hotel companies including The Ritz-Carlton Hotel Company, Hyatt Corporation, Tishman Hotel Corp. and InterContinental Hotels Group. Gordon has worked in the hospitality industry for over 50 years, starting in the business as a cook and baker while in his early teens. Gordon is an avid hiker and skier who loves to advise his guests on what to see and where to dine and shop in order to experience the best of Flagstaff and Northern Arizona. Gordon is married to Frank Balaszi and together they operate the Inn with Chef Erik Sorenson and Innkeeper Melita. Between them, Gordon and Frank have four grown children.